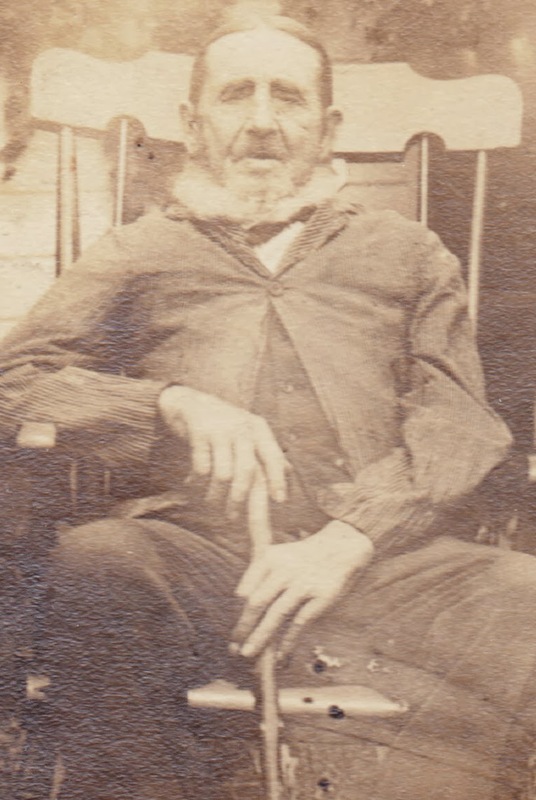 This sepia-toned old photograph is mounted on a piece of black cardboard and, alas, there is no identifying information to be found on the front or back. 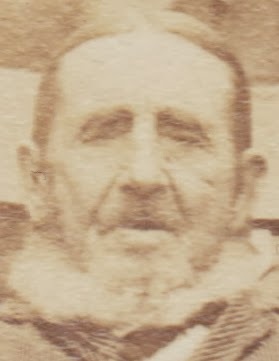 The photograph itself is about 3½ inches by 4½ inches. 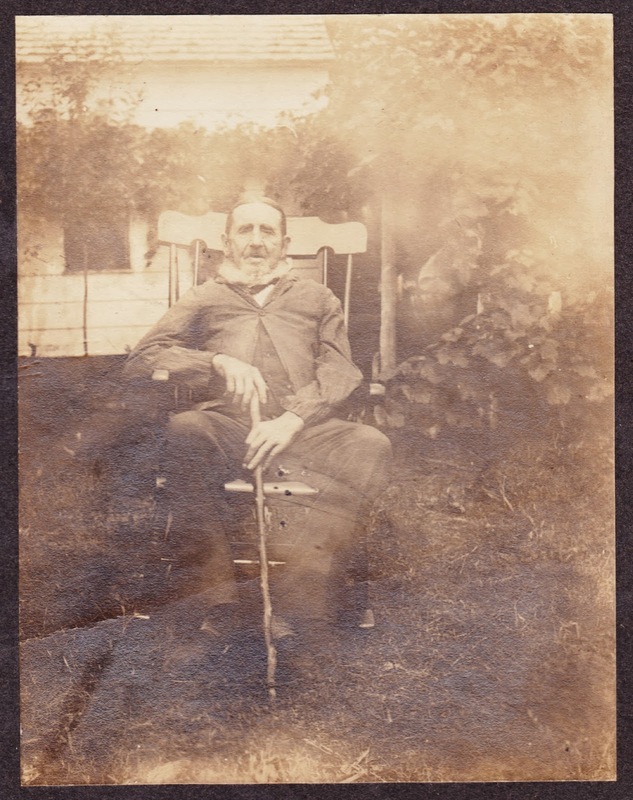 It shows a very old gentleman sitting in a wooden chair in the middle of a yard. He's holding onto a nice wooden cane. I'll admit I'm curious about the white thing around his neck. Is it an upturned shirt collar? It's not a low beard, is it? 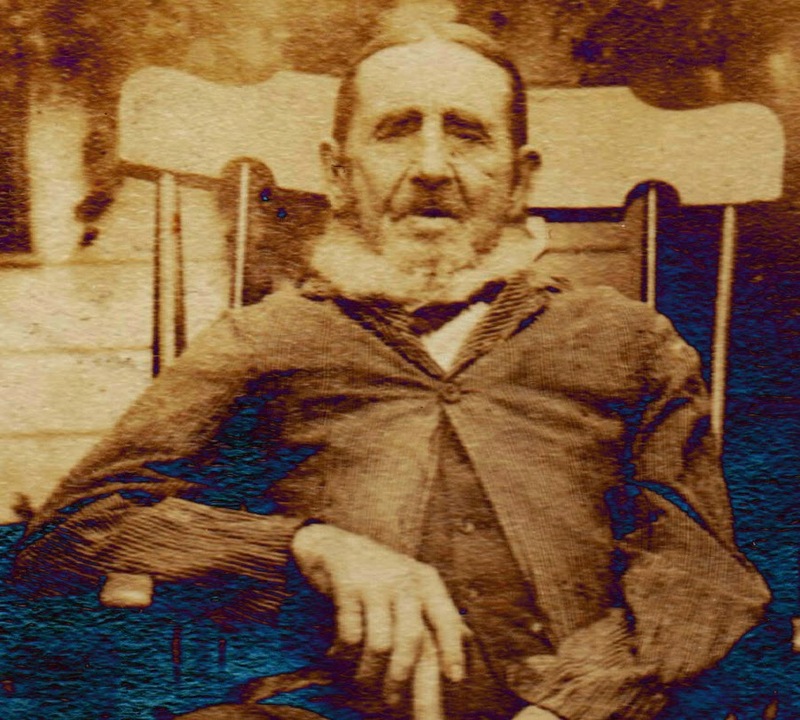 Anyway, unless somebody recognizes this man as a long-lost relative, I fear this will remain another mystery photo for the ages. Here are a couple of magnified portions of the photograph. And here, because I think it brings out some interesting detail, is a portion of the photograph with the "solarize" effect turned on.